The first-ever international conference on Afghanistan in the Afghan capital, Kabul, has successfully concluded. The historic event was held at the Ministry of Foreign Affairs of Afghanistan and brought together representatives of seventy countries, international and regional organizations, and other institutions. The international Kabul conference marks the beginning of a new phase in Afghanistanâ€™s journey towards lasting peace, security and stability. The first ever international conference on Afghanistan in the Afghan capital, Kabul, has successfully concluded. The historic event was held at the Ministry of Foreign Affairs of Afghanistan and brought together representatives of seventy countries, international and regional organizations, and other institutions. The international Kabul conference marks the beginning of the â€œKabul process,â€ and an increased commitment to a secure, prosperous and democratic Afghanistan. Among the many senior officials participating at the conference included UN Secretary General Ban Ki-Moon; and US Secretary of State Hillary Rodham Clinton. Delegations included more than 40 Foreign Ministers, 10 Deputy Foreign Ministers; as well as the heads of relevant international and regional bodies, including North Atlantic Treaty Organization (NATO), European Union (EU), and Asian Development Bank (ADB). Delivering the keynote address at the conference, H.E. President Karzai noted that Afghanistan and the international community shared a common enemy, one which â€œviolates every Islamic and international norm,â€ and is aimed at breaking the â€œunity of effort,â€ as regards Afghanistanâ€™s partnership with the international community. On reconciliation, he asserted that the recent peace-jirga expressed â€œa national consensus for peace, and framed the terms on which we must reach out to those of our armed opponents who will be willing to accept our constitution and renounce ties to Al-Qaedaâ€™s network of terror.â€ In that regard, he called the international community to support Afghanistanâ€™s peace initiatives. In her address, US Secretary of State Hillary Rodham Clinton echoed the continuing support of the United States of America to Afghanistan. â€œWe have no intention of abandoning our long-term mission of achieving a stable, secure and peaceful Afghanistan,â€ said Secretary Clinton. President Karzai [unofficial translation from Dari]: Distinguished national and international media, Asalamu Alaikum. I am very honoured to be in front of you with His Excellency Ban Ki -moon, Secretary-General of the United Nations. His Excellency is a very trusted and close friend of Afghanistan and a friend who has always been beside us. Today at the closing session of the Kabul Conference, His Excellency Ban Ki-moon narrated a story of 1973, when he was a South Korean diplomat and came to Afghanistan with their Ambassador to inaugurate diplomatic ties with Afghanistan. He talked of Kabul’s beauty and greenness and beauty of the Foreign Ministry’ building to the participants of the Conference. He shared a very good memory with all of us. Dear media, the Kabul Conference that was (for) several months being prepared for today, Alhamdulillah, it was organized very well and more than 60 countries of the world and 12 international entities, more than 40 Foreign Ministers, heads of foreign organizations and His Excellency Ban Ki-moon, Secretary-General of the United Nations, personally attended it. In this conference Afghanistan put forward their wish for the reforms in our country, strengthening governance, and the transition for the protection of our homeland and security of our people and our borders, and other issues such as our requests from the international community and our appreciation from them were expressed. You witnessed the details today, and I will not go into those details. I will conclude here with words of appreciation from the international community, and we thank His Excellency Ban Ki-moon, America, Europe, our neighbors, Japan, India, China, Arab countries and those who all participated in this conference. We thank them for their assistance and their efforts through their presence in this conference to make it a success. We thank them for their commitments for this country and for the future of this country. In brief, this was an extremely successful conference and very much on due time. I hope that Afghanistan and the region will move towards a bright and better future and strengthening of the system. Work that we have not done yet, we will, Inshallah, be able to do it in the near future or in the long-term in the right order and right time. I once more thank the United Nations Secretary-General Ban Ki-moon for coming here. If there has been any shortage in our hospitality, we apologize for that. Once more we welcome him to our country. Secretary-General Ban Ki-moon: Thank you, Mr. President. Salam Alaikum. Tashakor. I am glad to be here for todayâ€™s conference on Afghanistan. And I thank and I appreciate the leadership of President Karzai and the commitment for peace and security, development, and human rights of Afghanistan under the leadership of President Karzai. 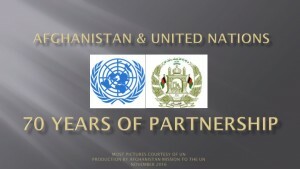 I am honoured that the United Nations has served as co-host together with the Afghan Government. This conference marks the beginning of a crucially important transition. As agreed at the London Conference earlier this year, in January of this year, and again here in Kabul, Afghanistan will now take the lead in shaping the countryâ€™s future. Afghans will set the priorities and decide which path to follow. The international community will play a supporting role. It is thus symbolic that todayâ€™s event is the first international conference on Afghanistan to be Afghan-led and held in the country itself. The Afghan Government presented 23 priority national programmes in the key areas of peace and security, governance and development. President Karzai and his Government have renewed their commitment to deliver real meaningful improvements for the countryâ€™s people. The international community has agreed to realign its efforts behind those Afghan priorities. We have also reaffirmed our long-time commitment to Afghanistanâ€™s well being. I am encouraged by todayâ€™s results. I have urged all partners to make good on their pledges. The United Nations will do its part. The people of Afghanistan have suffered greatly for many years. They continue to want only what people everywhere want â€“ jobs, shelter, education and health, their fundamental human rights, safety for their children, the hope of a better future for all. With the steps taken today Afghans have a better chance to gain a more secure foothold on that path. With them in the lead, and with the right support from the international community, I am convinced we can succeed. Wakht News Agency [unofficial translation from Dari]: My first question is to President Karzai. According to you, what was the main strategic point of the Kabul Conference? And my question to the Secretary-General Ban Ki-moon is, what are the assurances that the commitments of the international community at the Kabul Conference will be implemented? President Karzai [unofficial translation from Dari]: In todayâ€™s conference our agenda included different proposals and the preparedness of Afghanistan towards better reforms in governance and the system in Afghanistan, as well as expectations on Afghanistan from the international community, with assistance from us, in relation to the reforms of contracts, about the private security forces and about the transition of the executive operational powers to our military and security forces, since Afghanistan will assume the entire responsibility in terms of military and security by 2014. We had a very wide agenda proposed to the international community which was fortunately accepted by the international community and they made their commitments. Secretary-General Ban Ki-moon: Now about the commitments, commitments are mutual. On the part of the international community we committed that we will continue to provide necessary support, political support, socio economic development support and also military support to ensure peace and security here. 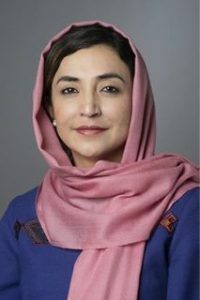 And we also committed that while the Afghan government will gradually take a greater role and more of an ownership role in transitioning in this period, we will align with national governmental priorities in all aspects, and we will continue to provide long term and sustainable support to help strengthen the capacity of the Afghan people and government. We hope that the Millennium Development Goals, that the Afghan Government will also be able to reach these goals. In the commitments on the Afghan Government side, President Karzai has rightly explained. The international community would expect and strongly encourage that President Karzai and his Cabinet will enhance good governance, and address all the socio economic problems irregularities and make reform; socio economical reform and security reform; and there is a good plan by the Ministry of Interior that they will strengthen the national police capacity and also be able to help the national forces of Afghanistan to strengthen their capacity. So these commitments are mutual and we have agreed that under this commitment and the CommuniquÃ© we will continue to work. Now, I am quite convinced that while this transition is made, toward a gradual transition from greater responsibility of Afghanistan, I am sure that the Afghan Government and people will be able to enjoy freedom, human rights and prosperity. Der Spiegel: You have announced major programmes for reconciliation with the Taliban, which include the leadership of the Taliban. Just in recent days and weeks we have seen intensive efforts by ISAF to target Taliban commanders in which a lot of these commanders were killed. How does this military strategy of the international forces fir with your reconciliation programme? President Karzai [original in English]: In today’s conference I outlined the decisions of the Afghan Peace Jirga – that was held a month-and-a-half ago – to the international community. And I was very happy to find out that the decisions and recommendations by the Afghan Peace Jirga were endorsed by the international community in a significantly strong way. While these incidents of violence go on, while we continue to fight incidents of terror as well, as they occur against our people, we will continue earnestly and with full dedication the pursuit of the peace process. I am glad today that this peace process was endorsed by the international community. Al Jazeera: My first question will be to the Secretary-General about the accusation from foreign countries to the Afghan Government on corruption. It is in a time in which more over 70 per cent of the money since 2001 which came to Afghanistan is spent by international donors or by international organizations. As United Nations Secretary-General, can you promise to the people of Afghanistan that you would launch, the way that President Karzai launched an investigation to Afghan officials, an investigation into foreign officials, into where is the money now? My second question will be to President Karzai. Mr President, recently ISAF claims that they have some information that Mullah Omar is in Pakistan, do you have any information on that? Secretary-General Ban Ki-moon: The first question is the very important area of good governance. We are concerned there is a prevalence of corrupt practices all throughout the country. The international community naturally expects that while the international community will continue to provide socio economic and financial support, this money should be properly used for good purposes, planned purposes. This is what I have been discussing with President Karzai and this is what world leaders are expecting, that President Karzai and his Cabinet Ministers should be fully committed. I am encouraged that President Karzai has stated this morning in his opening remarks that he is committed to reform of judiciary and investigative sectors. Also we want to see the coming parliamentary election on September 18th to be a transparent, democratic and credible one without any irregularities. That is the best way for the Afghan Government to gain confidence and trust from the international community so that their support can flow continuously. Thank you very much. President Karzai [original in English]:: On the question of Mullah Omar staying in Pakistan, well, we knew all along that some of the very senior leadership is in Pakistan. This is not news for us. This is an old story. While we know this, we are working very hard to improve our relations with our brothers in Pakistan further and further, and to advance the cause of peace and reconciliation and reintegration. These facts aside, Afghanistan will continue to work hard to have the best of relations with our neighbours with our friends, especially Pakistan, and to pursue peace, reintegration and reconciliation as well. Gentlemen and ladies, the Secretary-General and I have to go to lunch with dignitaries that have arrived, so we have time for one more question. And that question will go to a lady, and that lady is from CNN. CNN: Thank you Mr President and Mr Secretary-General. The date 2014 has been used in this conference today and yesterday. Can you elaborate more as to what that means? Does this mean that the Afghan forces will take on the complete combat role and the international forces will leave? And Mr Secretary-General, can you elaborate on my colleagueâ€™s question here: when it comes to the international community, the Afghan Government has now been taking steps to fight corruption, to bring those who are accused of corruption to justice, what’s going to happen to those in the international community. Will there be investigations into them as well? President Karzai [original in English]:: On the 2014 date, ma’am, Afghanistan has specified its objectives. If you recall, in my inauguration speech to the Afghan people some months ago, I committed to having the ability by 2014 – meaning another five years which by now is almost four years – to reach a level of strength and ability and capacity within our forces to provide for our own security for the population, for the country, for our borders. This is a commitment we have made to the Afghan people and to our international partners, and we hope accordingly the international community will help Afghanistan reach that objective that we are working on very earnestly and with dedication. This is a national objective that we have to fulfill and we must. President Karzai (interjects) [original in English]:: Mr Secretary-General, she was asking about corruption in the international community. And so was the gentlemen from Al Jazeera. Secretary-General Ban Ki-moon: Of course, I am going there. President Karzai [original in English]:: In other words they are beginning to be fair. Secretary-General Ban Ki-moon: When the people are given incentives to engage in proper jobs, when they are educated and institutions are strengthened there is not much room for international corruption to be practiced here. I sincerely hope that international donors and international partners will also take this matter very seriously. They should be able to give aid in an effective way – there should be aid effectiveness, and a transparent manner. By making every procedure in a transparent way, we are able to get rid of all such possibilities. President Karzai [original in English]: Thank you very much.